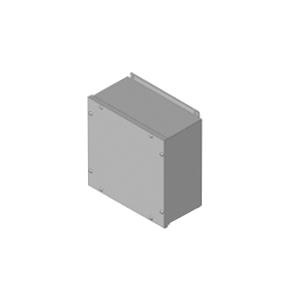 Barber Gasketed screw cover enclosure is suitable for outdoors, dairies, breweries, sewage plants, food processing areas and similar installations. It measures 12-Inch x 12-Inch x 4-Inch. It is perfect for areas where corrosion problems exist. It features 14-gauge stainless steel construction. Enclosure has continuously welded seams. It has NEMA 4X rating. Stainless steel machine screws help you secure gasketed covers.